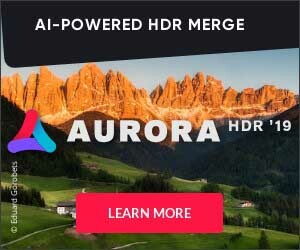 What makes Aurora HDR 2019 stand out? Check out this quick video which shows how Aurora HDR 2019 improves on previous versions and how it compares to the competition. Like what you see? Then grab it over here. I’m getting close to my 100km trek across Spain with Kevin Kelly on the Camino. That trip takes a lot of logistics as well… nothing is easy… plus, coming from New Zealand adds a whole new layer of complexity which usually adds two days onto the entire trip. Daily Photo – The Aurora in Thailand? No no, I’m afraid there was no Aurora in Thailand, but it sure does look like it, doesn’t it? This is just off the coast of Phulay Bay where there is some kind of mining/shipping operation going on. I don’t think of it as an eyesore… I think it’s kind of pretty! The glows would change all night too. I believe some of the glowing was from boats out fishing in the night as well. Well I was just about to blow a gasket, but I took some deep breaths and decided to many a mini-rant video instead. I was in the middle of making some new presets (grab them now in the presets area of my store), and I was completely perplexed and bamboozled by the way Adobe deals with presets. Are these bugs or am I just really dumb? When I stayed at Phulay Bay in Krabi, I spent almost every night skulking around the resort and taking photos. The architecture around here is so interesting and beautiful that you really can’t take a bad photo anywhere. So I made a little game every night where I would take 100 photos and always try to improve on getting fresh angles and composing objects in different ways. This night was particularly good because the moon came out to play with the clouds. Rene and I got a fifth wheel that we take to Burning Man each year. I have a good idea to get one of those Tesla Power Wall batteries and install it, replacing the current electrical system. But I have NO IDEA how to actually do that. Clever people are more than welcome to send me some advice! Look at my very romantic bath here in Phulay Bay, Thailand! I felt very strange getting in here by myself while all my friends were off watching World Cup. I sat in here and read some Patrick Rothfuss…So it was kind of like I was in the bath with Pat. Kinda. It was all very surreal. I don’t even really take baths, so I wasn’t exactly sure what to do. I guess you just lie there. It took a lot of effort not to burn myself with those floating candles. Although I liked that part of the bath because it added a certain sense of danger and adventure. And no, I didn’t take photos of myself in the bath. No one wants to see that. If you get the chance, watch the new comedy “Documentary Now.” When I started watching it, I wasn’t sure if it was a comedy or not because Helen Mirren is the host, and she’s usually pretty serious. Anyway, I got my first hint it was a comedy when I saw Fred Armisen make an appearance a few minutes in. At that point, I knew all bets were off. All around Krabi are dozens of little island paradises. Most of them are completely empty and you can just kind of rock up there and claim it as your own personal island whenever you want. Most of the islands are pretty jungly, so there’s not a lot you can do on them other than be attacked by reptiles. But some have really nice beaches where you can just hole up and read all day. I’ve never been a boat guy, but it kind of made me want to have a boat and just rock around to explore every little nook and cranny. If you’re a Passport Member then you get to see today’s awesome video that our team made in Tokyo. I think it’s probably the most high-quality video we’ver ever made! You’ll see me shooting in all sorts of conditions and get a good idea of what goes on during four days of shooting in crazy Tokyo! My friend Cliff Baise turned me onto some great brain-wave music to listen to while working or editing photos. He listens to it while he paints. Here is a link to one of the tracks. A Special Video from Tokyo for you! Now, this is a bit more than a “Sneak Peek”!!! This represents one of about 30 videos I am sitting on, unreleased. As you can tell from the quality level of this video and the time it took to create, these are rather expensive. So we’re busy trying to wrap up sponsors so that we can release them all to the world. In the meantime, since you are a Secret Passport Member and get to see things before the huddled masses, I am happy to share it with you now! You’ll see me in various parts of Tokyo doing all sorts of things… mostly photography related! Daily Photo – Korean Mom’s Day Out! Now, I’m not 100% sure these are Koreans, but I’m 99% sure. It obviously doesn’t really matter, but I have seen many of these groups of traveling ladies from Korea that have their own photographer follow them around. This is on a little island near Krabi, Thailand. It was really fun to watch them. The photographer was really animated and putting them into all kinds of positions. The ladies were having the time of their lives. As I’m writing this, I’m listening to a rather amazing speaker — the Devialet Phantom (the 750 Watt version). It’s just incredible. It comes in “louder” varieties like the 3000 and 4500 Watt version — but I think those are a bit overkill! During our last night in Krabi, Thailand, Tina and I took a walk along the beach here to take some photos. Everything was extremely dark, so I decided to make a different sort of photo. Something more mysterious and filled with darkness. If you want to see some more photos from this night, be sure to click on the Krabi category above! I have a few of my daughter up there in those lit-up trees as well. We stayed at the Ritz-Carlton here in Krabi, Thailand, and there was no shortage of dinner options. Sometimes I like to “get away” from the hotel/resort to try out other places, but these restaurants were SO GOOD, I figured, “Why bother?” Every night was a different kind of culinary sensation. On this particular night, we ate out on the deck and could hear the waves crashing on the nearby shore. Heaven!